Fast track is headed back to the Senate. Once again, fast track has reared its ugly head. While we were able to temporarily defeat fast track, also known as Trade Promotion Authority, in the House less than two weeks ago, the bill’s supporters have managed to send it back to the senate. There it’s expected to be voted on as early as Tuesday. If it’s approved, it would clear the way for passage of the secretive Trans-Pacific Partnership (TPP). Fast track would allow President Obama and his successor to ram trade deals through Congress, only allowing lawmakers an up-or-down vote and forbidding them from adding any amendments. After 20 years of NAFTA, it’s clear what these trade agreements do: they push jobs overseas, weaken food and consumer safety standards, circumvent environmental laws, restrict Internet freedom, and roll back financial protections. 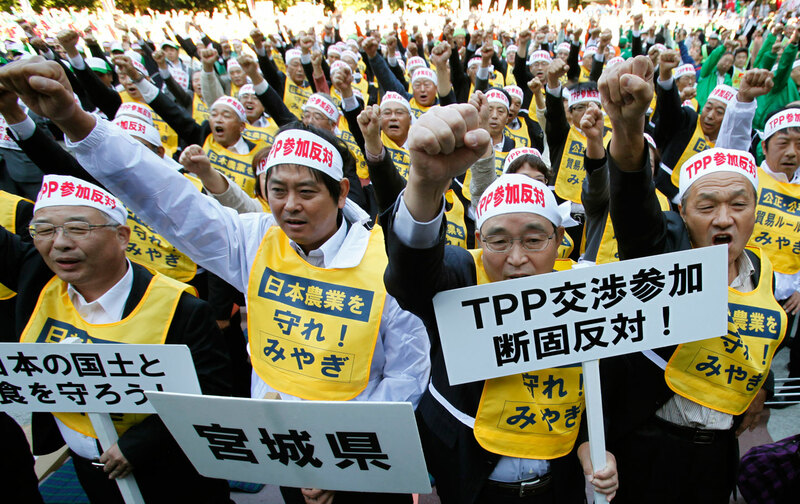 And the process by which the TPP has been negotiated has been decidedly undemocratic. While representatives of powerful corporations have had input, the American people have been left largely in the dark. Write to your senators now and demand that they reject fast track. Then call to amplify your voice.